We're Your Auto Repair Professionals! 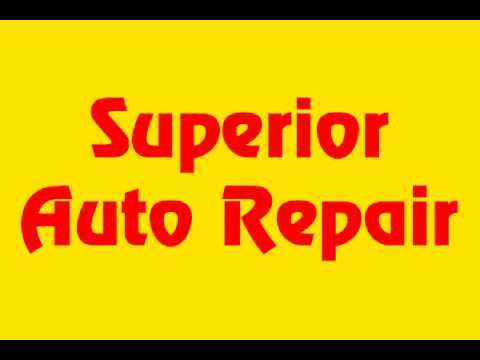 Whether you need an oil change, general maintenance, or complete engine repair, Superior Auto Repair is there for all your auto repair needs. Is your check engine light on? Our experienced, knowledgeable mechanics will use the latest diagnostic equipment to analyze the findings and get you back on the road safely. The technicians in our family owned and operated auto repair shop are industry experts with over 40 years of combined experience working on import and domestic vehicles. We also have the specialized equipment and technology needed to provide top quality service. When you entrust your vehicle with Superior Auto Repair, you are leaving it with certified professionals. Stop in today or call to schedule an appointment.